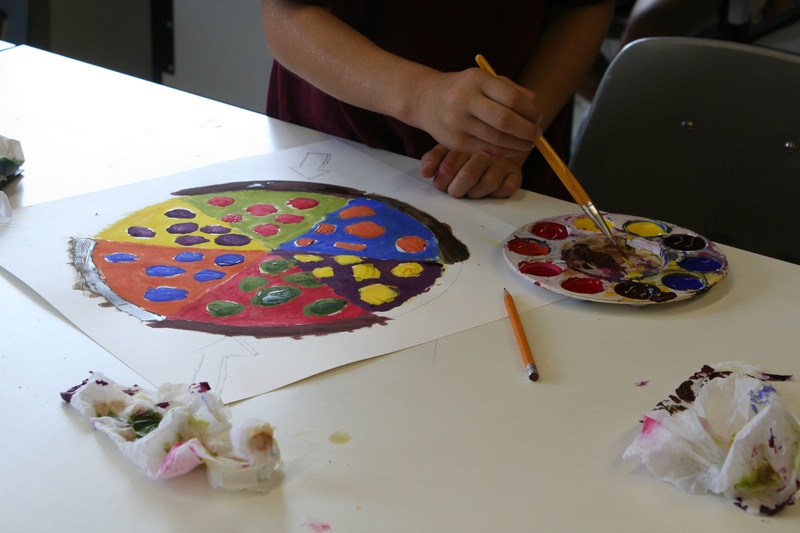 When I walked into Lindsay Hoke's classroom, the space was buzzing with excitement and energy as students worked on creating " Color Wheel Pizzas". Students were eager to tell me all that they were learning about color theory, and even more excited to show me the Jackson Polluck inspired action paintings they'd recently created. If you're anything like me, when you meet a great and inspiring teacher, you want to know more about them. You want to know what made them fall in love with art, and even more exciting, what kind of art do they create. Here's what Ms. Hoke shared. I love using latex and acrylic paints. The color choices are endless and the application is smooth. I consider myself an abstract expressionist, letting my emotions guide my aesthetic decisions. Art is all about the process! It's such a rewarding avenue to explore; all while experimenting, problem solving, discovering and taking chances. You can really learn a lot about yourself through your creativity (Yes! Everyone has some creativity within them!) and willingness to try new things. 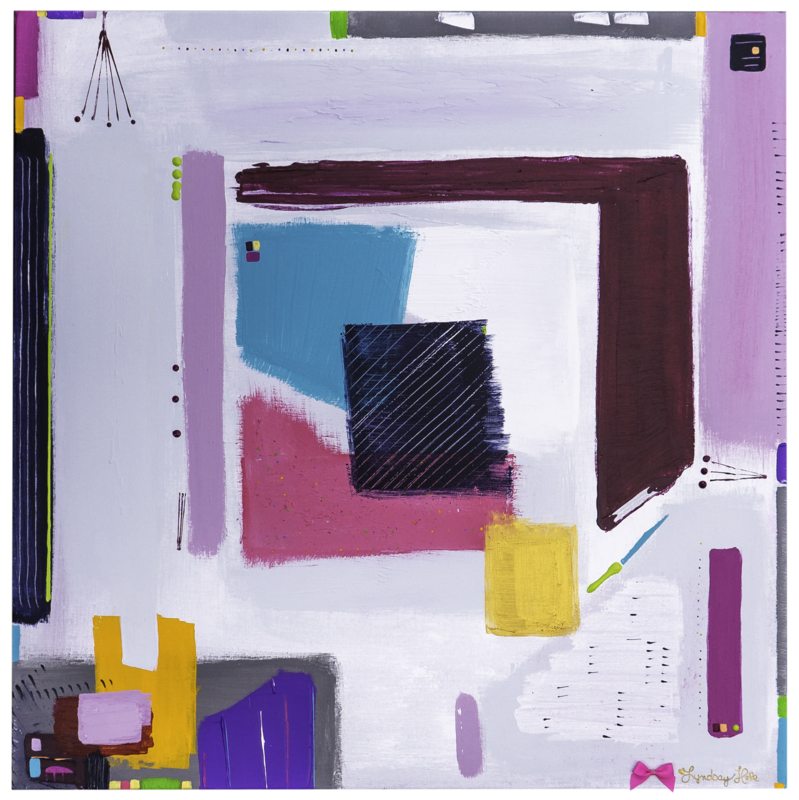 One of my favorite artists is Moe Brooker, a fellow abstract artist. My favorite historical artist is Vincent van Gogh. I was never a huge fan until I saw his work in person and I was blown away by the textures and colors. Truly magnificent! Where is your favorite local spot to look at art? Annex 24 is my absolute favorite spot for contemporary art. I also love Friendship Heart Gallery for its support and guidance for emerging artists. Lindsay Hoke is one of the many great instructors that teach for the Youth Art Program at PCA&D.